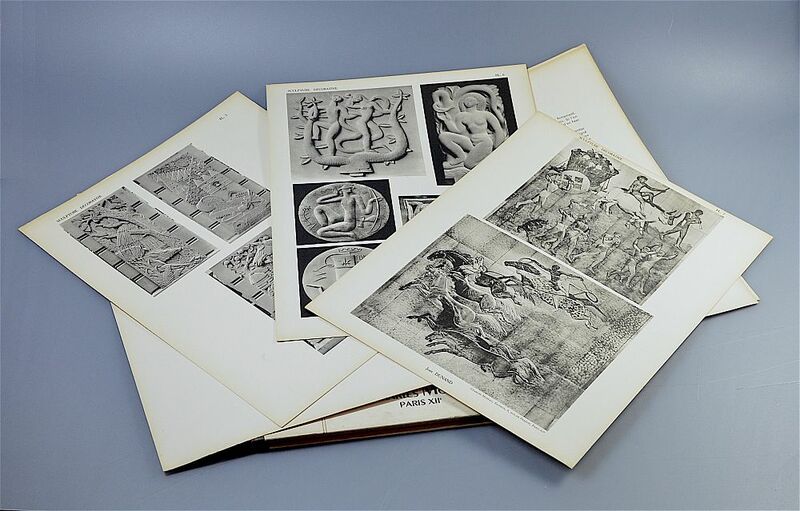 This portfolio was printed by Charles Moreau, Paris and contains 32 plates of decorative sculpture from the 1937 International Exhibition. 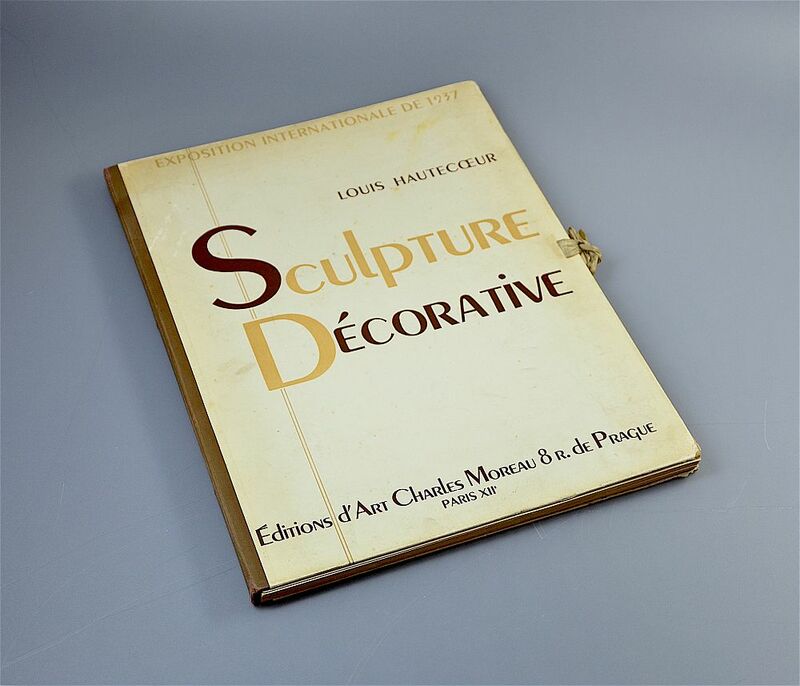 It also contains a separate "booklet" that is the same size as the portfolio containing a Foreword (Avant-Propos) by Paul Leon (the Honorary Director General of the Beaux-Arts), an Introduction by Louis Hautecoeur, (the Curator of the Luxembourg Museum & the Director of Works of Art for the 1937 Exhibition) and a List of Plates. 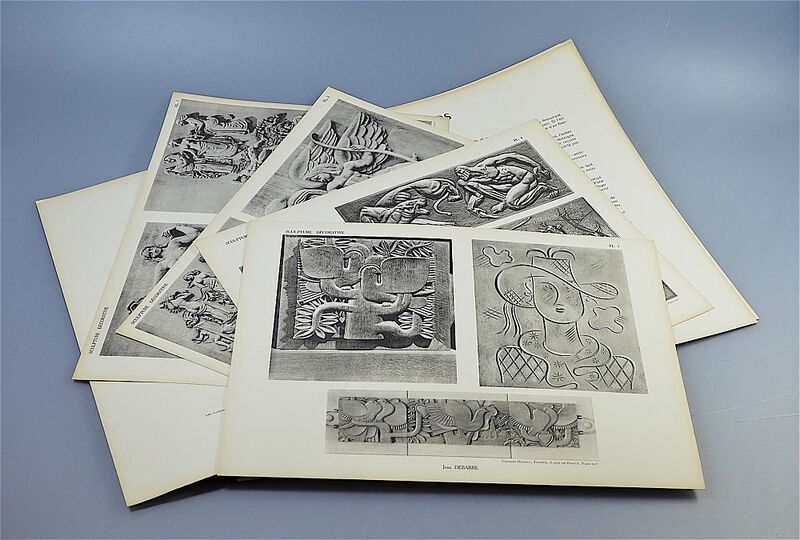 There are pictures of the works of Janniot, Dunnard, Bouraine, Leleu, Vernon and many more of the great names of the Art Deco period. There is a also an approbation note from John Tiranti & Co, London, the English retailers, dated 23 April 1938 consigning the Portfolio on approval to a client. The plates are a feast of Art Deco design.